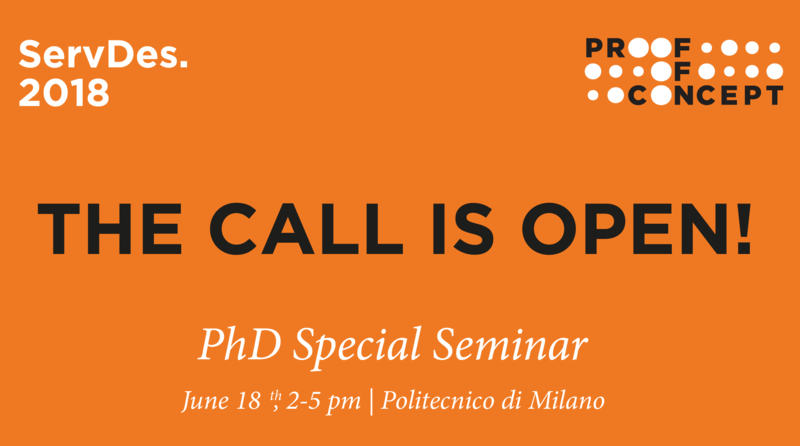 We are pleased to announce that the call for applications to the “PhD Special Seminar” is still open! 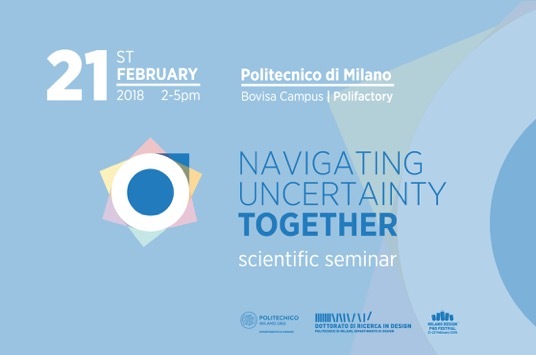 “PhD Special Seminar: unfolding a proof of concept” is a seminar dedicated to PhD candidates and Early Career Researchers within the ServDes Conference, that will take place on June, 18th-20th 2018 at Politecnico di Milano, Milan. 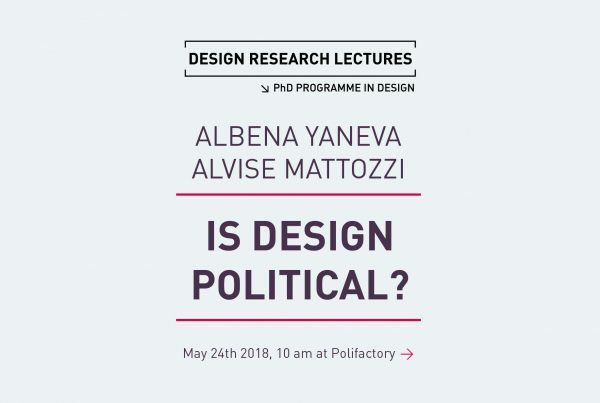 In connection with the ServDes 2018 conference, this 3-hour seminar aims to be a day of reflection to further discussion on the topics launched by the conference, with research questions from the participants as a starting point. It is a space to reflect on the different nuances that guide service design research and to produce elements to spark discussions during the conference. Furthermore, it seeks to strengthen the growing international community around the Service Design discipline. To download the full call for applications, please click here. The call addresses PhD candidates and Early Career Researchers (with a PhD Degree) from across the Service Design discipline.